The SaaS Report (TSR) today announced the finalists for its 2018 Top Women Leaders in SaaS list. Over 3,500 nominations were submitted on behalf of hundreds of inspiring executive women. TSR recognized the top women leaders who have had significant influence in their field both within their companies and their industries at large. Among this year’s finalists, Jennifer MacIntosh was selected based on detailed nomination submissions from her colleagues and peers, professional achievements and the impact she has made on her organization while in a leadership role. Leadership was assessed across a number of key areas including integrity, intelligence, drive, company culture, and company growth, among other areas. As Vice President of Customer Experience at Coveo, a leader in AI-powered search and recommendations, Jennifer plays a vital role in creating and implementing strategies that align Coveo’s product, culture and community to be truly customer-centric. 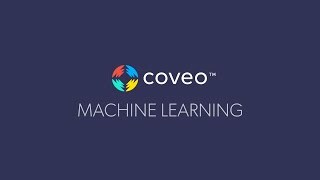 Since joining Coveo three years ago, Jennifer has hired and matured a Customer Success team, established customer success metrics that have delivered significant improvements in Net Promoter Score (NPS) and Customer Satisfaction for Coveo’s SaaS customers, and initiated an overhaul of the Coveo Customer Experience. A true agent for change, Jennifer’s expertise and experience have also contributed to impressive customer experience transformations at companies like Yahoo, Quest Software and Cognos (IBM).